Pristine Home provides Coogee’s most reliable workplace and residential cleaning services. We have over ten years experience in the area, and have served the needs of thousands of satisfied clients. We employ well-trained and highly trusted cleaners who are dedicated to delivering high-quality and on-time cleaning services. So whether you need an ongoing cleaning or just a one-off clean to restore the beauty of your home, you can count on us to accommodate your cleaning requests. One of the great things about our service is the immediate availability of our cleaning team. Simply book a cleaner online and we will arrange to send them to your home or workplace as soon as the next day. Our domestic cleaning service is designed to help you maintain a clean and organised living space. You can choose a cleaning schedule that will fit your specific cleaning requirements. When you visit our site, you will be presented with an option to book a weekly, fortnightly, monthly, or one-off cleaning appointment. By having a Pristine Home domestic clean, you’re able to save precious time and energy. If your tenancy is expiring, you have a number of things you need to get done before you vacate the property. First and foremost, you must organise and pack your belongings, finalise bills, and ensure that the place is in the same condition as when you first moved in. With all these tasks, why burden yourself with cleaning the place when you have the option to book a vacate cleaning service with Pristine Home? Our well-trained cleaners are knowledgeable of real estate agent cleaning checklists, and will pay special attention in mopping the floors and getting rid of dirt buildup to ensure that you will get your deposit back in full. Pristine Home’s end of lease cleaning service helps you restore your rental property to its original condition, helping you get your bond back. We take care of degreasing the kitchen stovetop and rangehood, cleaning the oven inside and out, vacuuming and mopping floors, and spot cleaning wall surfaces. Even with a limited space, apartments can easily become cluttered when you have too many things lying around the couch or under the bed. Although you may be taking the effort to keep the place free from dirt and clutter, your apartment may still require a deep clean every once in a while to keep it looking clean and smelling fresh. At Pristine Home, we take time to properly clean your apartment by removing debris, cobwebs, and dust. Moving in or out of a property is a big task. You have plenty of things on your to-do list that you have to accomplish before you hand over the keys to your landlord. We help remove one burden from your list by providing a thorough move in/ move out cleaning. Our cleaning team will make sure that the place is left looking spotless and sparkling clean. So if you are anticipating a move in the next couple of weeks, give us a call and we will arrange a cleaning appointment for you. Come spring season, many of us are encouraged to do a one-off clean to spruce up the house, and restore its great appearance by cutting through winter’s clutter. Our spring cleaning service is one of our most extensive service that focuses on removing piles of debris, clearing out cabinets, and cleaning light switches. Our cleaning team will work to bring back the shine of your powder room. With our bathroom cleaning service, it is easier to achieve a hygienic bathroom that not only looks great but also smells clean. Our professional cleaners will polish light fixtures in your bathroom, clean mirrors, sanitise vanities, remove cobwebs, and steam clean the bathroom floor. 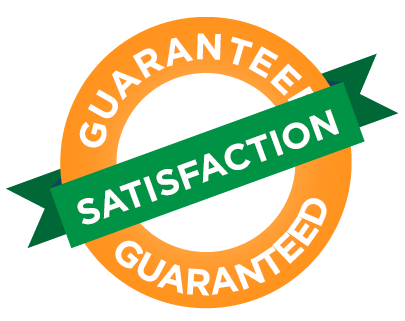 As part of our commitment to ensure every customer gets the service they deserve, we offer a 100% satisfaction guarantee. If you have any issues with the work quality of our cleaning team, simply inform us and we will resolve the issue at no extra cost to you. Ready to Book Your Cleaning Appointment? Booking an office or home cleaning with us? It’s as easy as 1-2-3! Simply visit our website where you can book a cleaner, review the instant quote that will be displayed, and we will take care of the rest. You will have a cleaning appointment in less than 60 seconds! Can’t Find the Time to Clean? Cleaning the house on your own is no easy task especially if you don’t have the luxury of time to scrub the bathroom floors, and wipe dirty surfaces on a regular basis. If we were being honest, we would admit to wanting to spend our free time enjoying a quick dip on the pool or going on an out-of-town trip rather than spending hours cleaning the house. So why not bring in the professionals and let us do the cleaning, while you enjoy your leisure time? We believe that providing top-notch cleaning services should not cost our customers a fortune, which is why we set our cleaning rates based on the average pricing of other cleaning service providers in Coogee. How’s that for value-for-money! Our customers continue to express their satisfaction with the quality of the cleaning services we deliver.